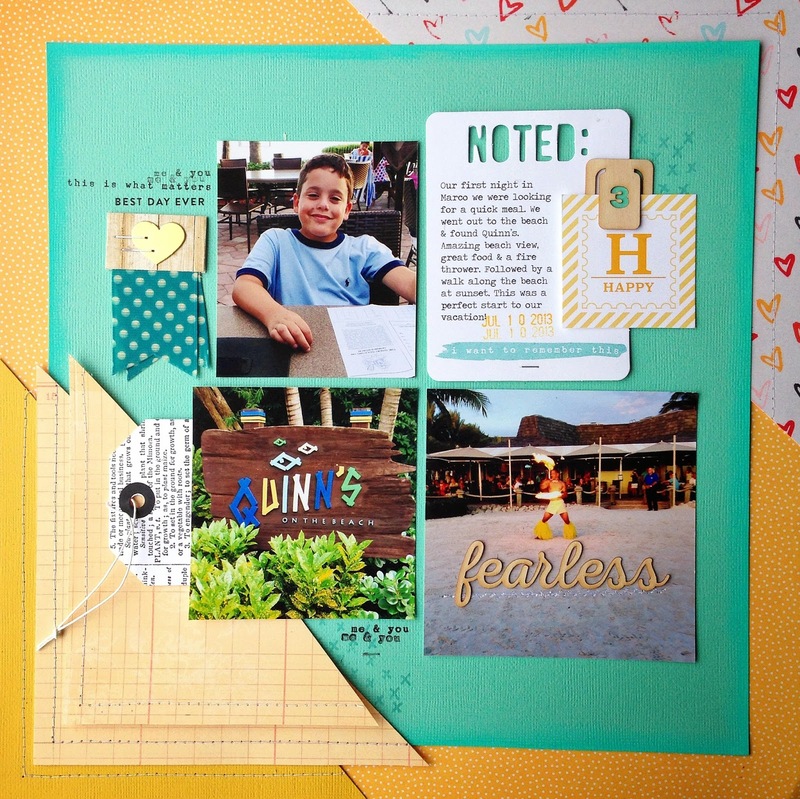 My goal this month was to design two layouts that were radically different with the November Scraptastic kit. 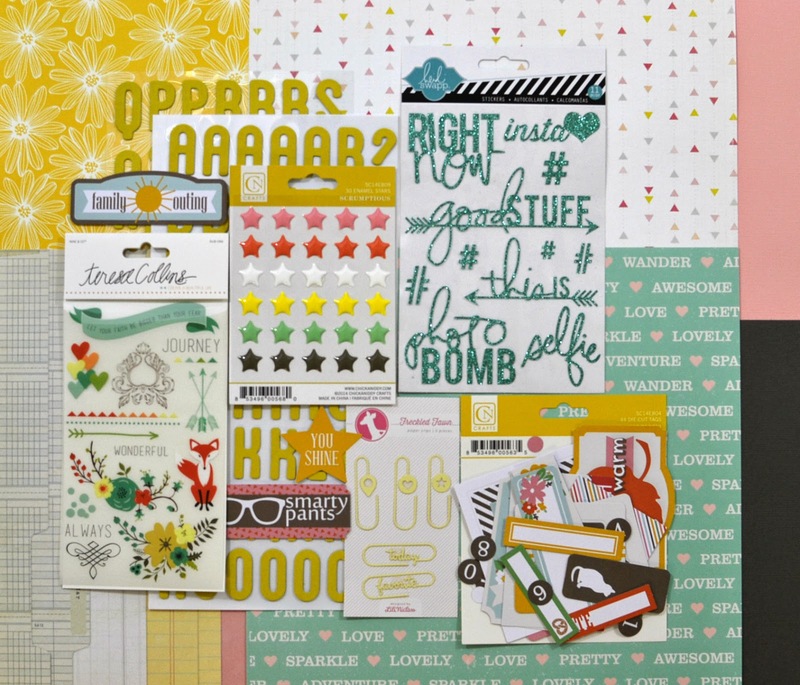 At first look, the Shake it Off kit has a very soft, feminine feel to it. I started at that jumping point and chose to highlight this photo of my niece at the Bippity Boppity Boutique in Disneyland. It was my favorite shot from our trip – the look on her face is just priceless! The intricate design of the wood veneer complemented the ‘fancy’ feel of the photo. I painted it with a thin coat of watered-down, white acrylic paint so it wouldn’t steal the spotlight from the photo. It is that beautiful! I also thought it would be the perfect “o” to my “xo” title. The idea for that came from the rub-on on the side of the photo that reads: ‘I love everything about this’. I do and I wanted that sentiment to be front and center. My challenge here was to go with a bold palette, use at least 3 photos and a tiny title. The complete opposite of the “XO” page. The kit has so many versatile patterns and colors that it was easier to do this than I had anticipated. First, I picked out the heart patterned paper and two coordinating cardstock colors. 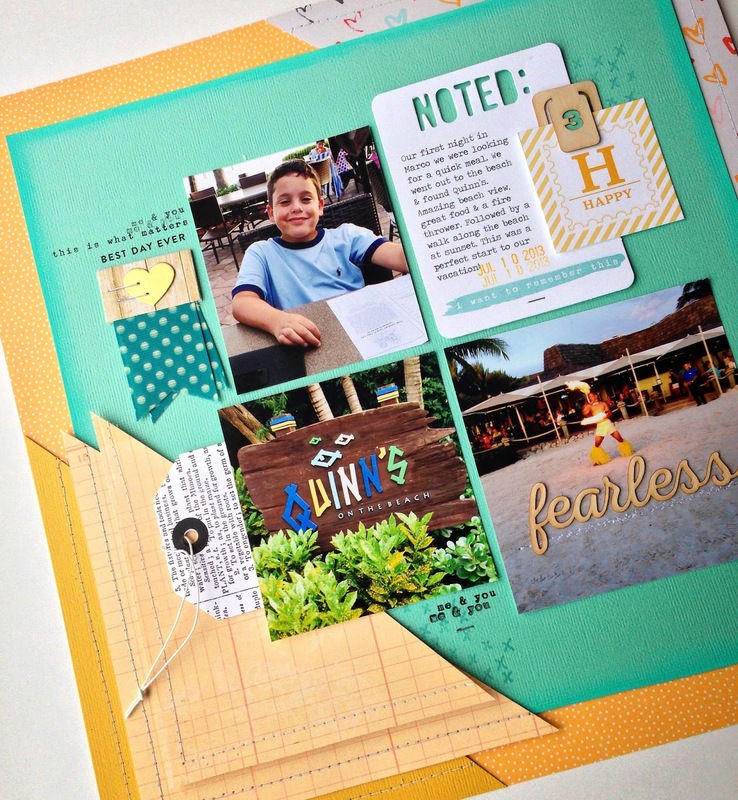 Then I laid out the photos in a grid design adding a spot for journaling. Next, Iayered a small veneer title, die cut card and embellished tag for pops of color and dimension. The finishing touch came at the end with the three layers of triangle photo corners in the lower left side. Stitching the edges, using two different patterns and stacking them gives this area of the layout weight and that something ‘special’ detail. 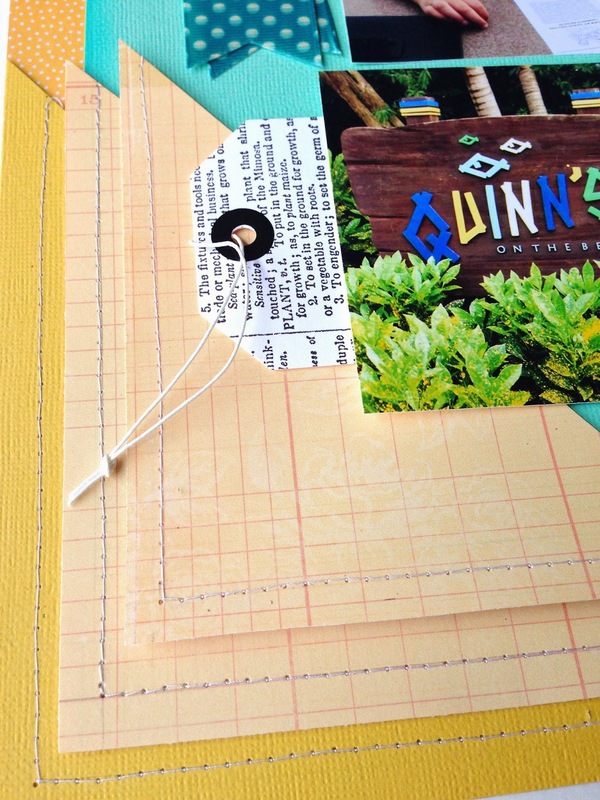 On the opposite corner, I used the patterned heart paper to balance the design out. Simple Stories Life Documented Planner: Here We Go! Here it goes, I’m jumping into the planner craze! If you have no idea what I’m talking about, Google “planner addict” and you will see! I knew this was something I would love. I’ve kept many planners over the years, but stopped in favor of the iPhone a while back. There’s something about seeing all of my plans and ideas on paper that I have really missed. Add stickers, organization + colored pens and this stationery loving girl is sold. Plus, every once in a while I peek at my old planners and it’s nice to see what my life was like as a college student. It’s a time capsule that makes me smile. My priorities and to-do’s have changed radically. 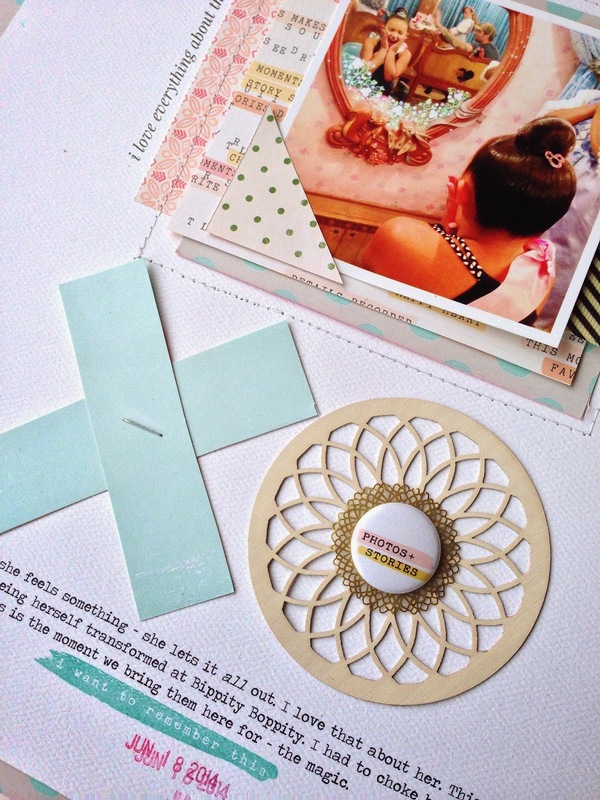 This month I've been working with the Scraptastic Heart it Races Kit and Add-On. I chose this set to work with because I love all the bright colors and graphic feel. It can be used for so many different types of pages and that's what I tried to do this month - a mix of every day, vacation, girl centered and neutral layouts. 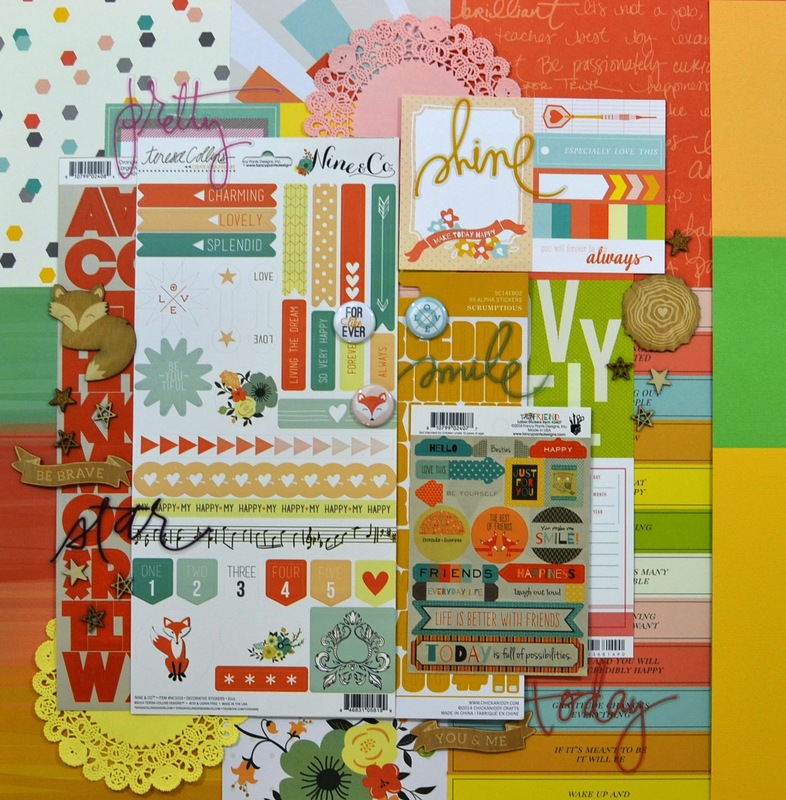 This file folder paper from Maggie Holmes latest collection is one of my favorites. I cut it up here and used it to balance out a enlarged photo from my son's birthday party. The story is about our tradition of gathering the balloons and doing a release at the end of all his parties. It's one of my favorite moments and I was lucky enough to have this picture of it. 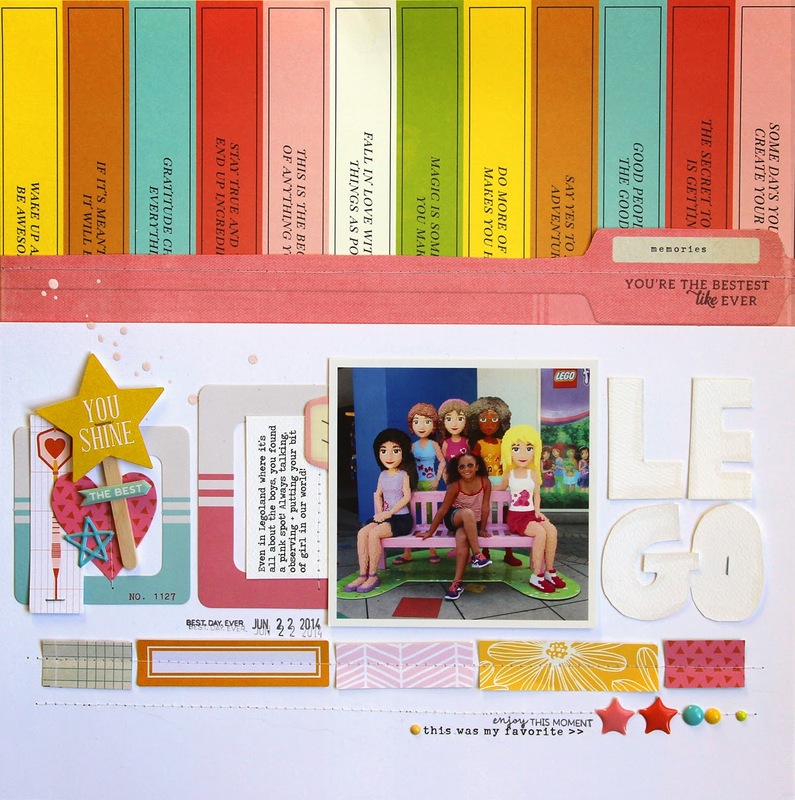 This page was built around the colorful "paint swish" paper from Chickaniddy's Scrumptious collection. I thought it would make the perfect backdrop for some of our Disneyland photos. This one is the moment the kids first hit Main Street in all their silly glory. 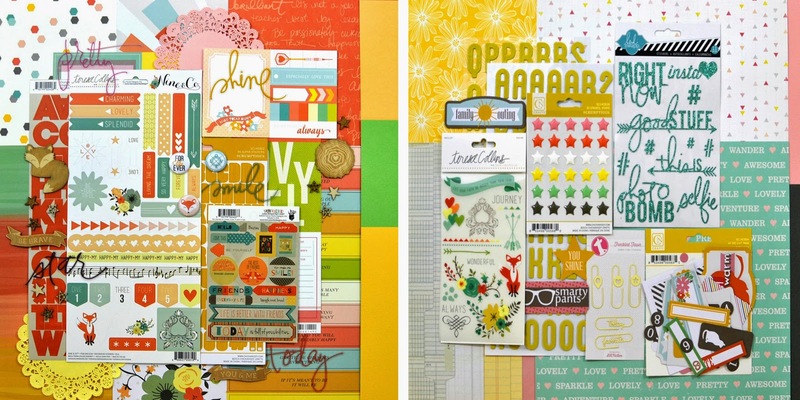 The last layout was created around another favorite pattern - the stacked titles in this bright Studio Calico paper. It gave me a great girl palette to work with. The story here is about just that - the little girl in our lives and how even in the midst of boy centric Legoland, she finds the brightest pink girl spot. 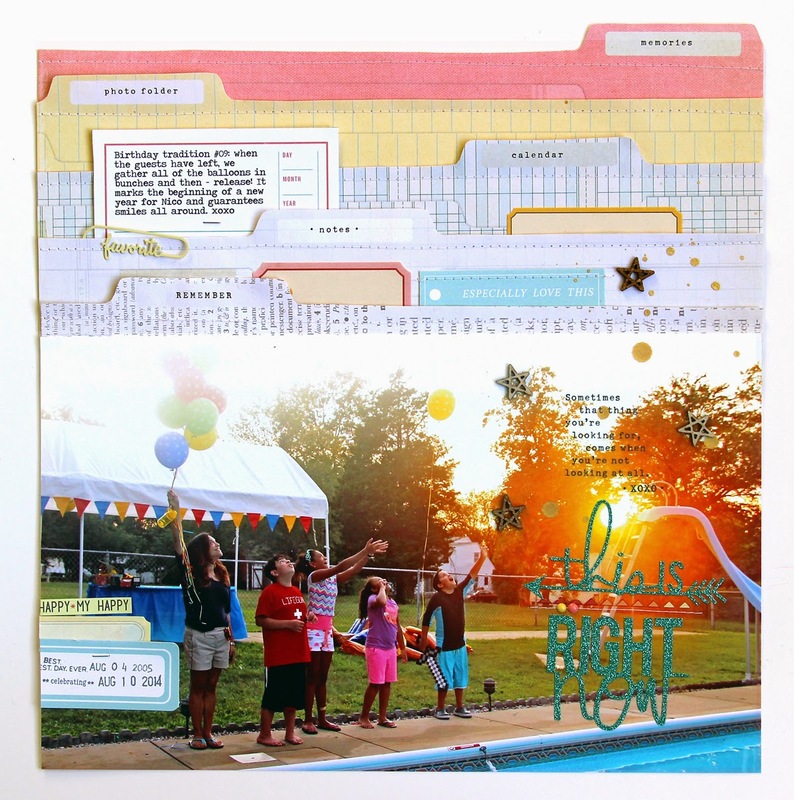 Three very different pages all created with one kit. 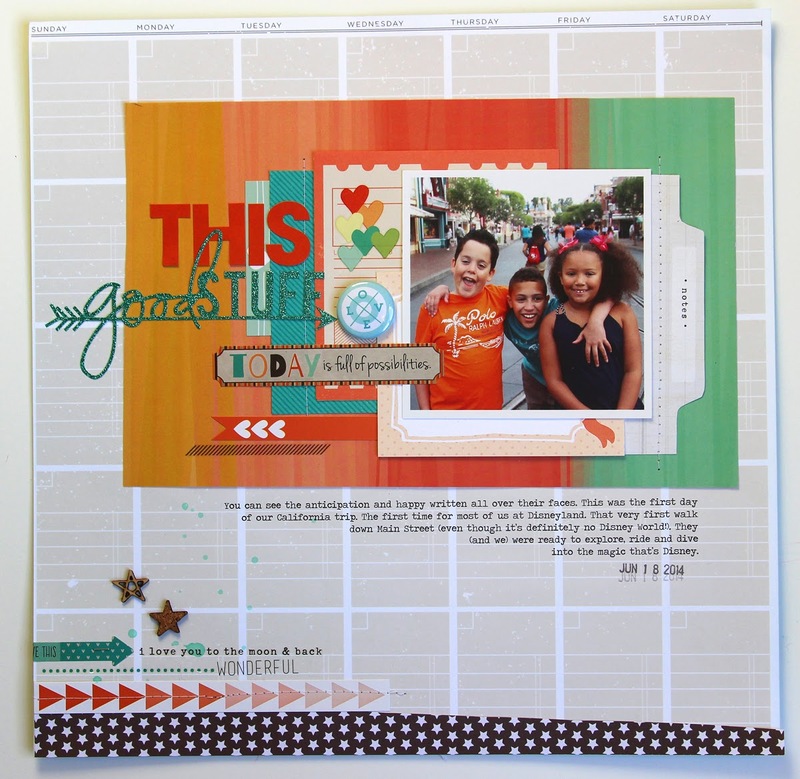 That's what I love about Scraptastic and how they put things together. The kits are packed and the palettes work with all types of photos. Makes my life easier for sure!